+What is a partial denture? A partial denture fills in gaps if you are missing some, but not all of your teeth. 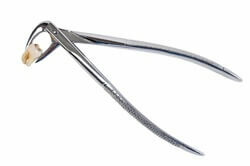 This type of denture can be removed easily by patients themselves. It stays in the mouth by clasping onto the remaining teeth and partial denture wearers take the denture out after meals and at night, by sliding the clasps over the teeth. Partial dentures are cheaper, simpler alternatives to dental bridges which are more permanent and can only be removed by a dentist. One advantage that a partial has over a bridge, beyond being much more affordable, is that a single denture can replace multiple missing teeth, whereas each area of missing teeth would likely require a separate bridge. 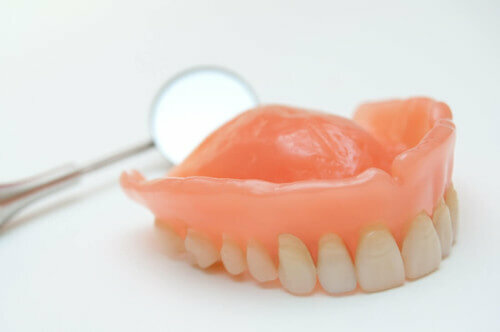 Find out more about partial dentures. +What is a complete denture? 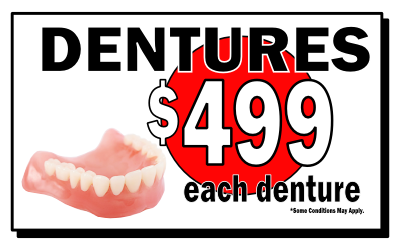 A complete denture replaces all of the teeth on your top or bottom jaw. 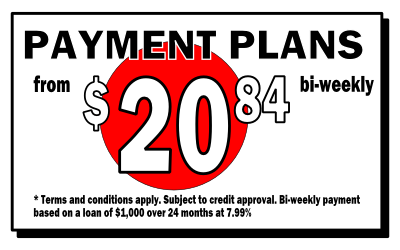 It's also referred to as a full denture, or full plate. These dentures fit by a combination of muscle control on the part of your own oral anatomy, and a suction cup phenomenon that uses your saliva to seal the denture in place. The fit of complete upper dentures is usually satisfactory because of this suction action working with the shape of the palate. Suction on complete lower dentures is rare, which is why complete lower dentures are generally much tougher to keep in place. Many lower denture wearers complain that their dentures don't fit as well as they'd like, opting to try denture adhesives (Fixodent or Polygrip) to help them stay in place. However, the only medically approved way to keep complete lower dentures in place is to have dental implants surgically inserted into the jaws.Find out more about complete dentures. +What is an immediate denture? 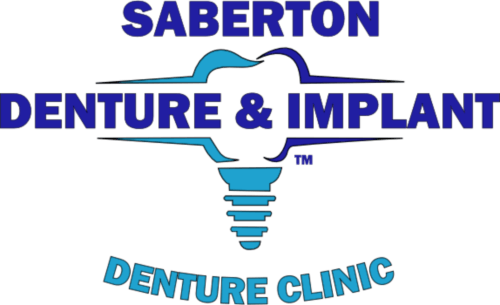 An immediate denture is a denture that's created by our denturists prior to you having your teeth pulled. The denture is inserted by the dentist at the extraction appointment. Because the teeth aren't pulled until the denture is completed, this type of denture can be a tricky process. Our denturists must expertly make the denture without being able to try it in. Once finished, the denture is placed in your mouth while you are still frozen from the extractions. Because this denture is inserted at the same time that your teeth are pulled, it's also frequently called "denture-in-a-day." 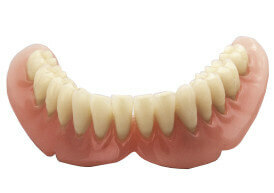 Find out more about immediate dentures and dentures after extractions. +What is an reline and why do I need one? A reline is an adjustment of your denture. Your dentures generally need to be relined frequently as the shape of your bone and gums changes over time. Relines are also required if you've had extractions within the past 3-12 months. The reline process is simply having the existing denture refit to the new shape of your mouth. Relines are a normal part of the immediate denture process and are usually recommended every 5 years depending on how much your mouth has changed shape. 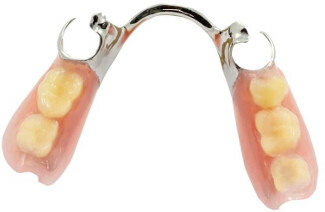 Many people want their dentures relined after 10 or more years because they've noticed that the dentures are loose. However, after 10 years most denture teeth are worn down and it's advisable to invest in a new denture at this point. If you have concerns about your existing denture, please contact us to discuss these options with one of our denturists. Find out more about denture relines and repairs.